Reminds me of what God told Jesus at his baptism — "... in you I am well pleased!" Even in the middle of a culture steeped in sin in Noah's time, God could find the one heart loyal to him and use him and his family to be a blessing and provide the world a future. May we each be such a person in our day, in our job, in our school, in our neighborhood. 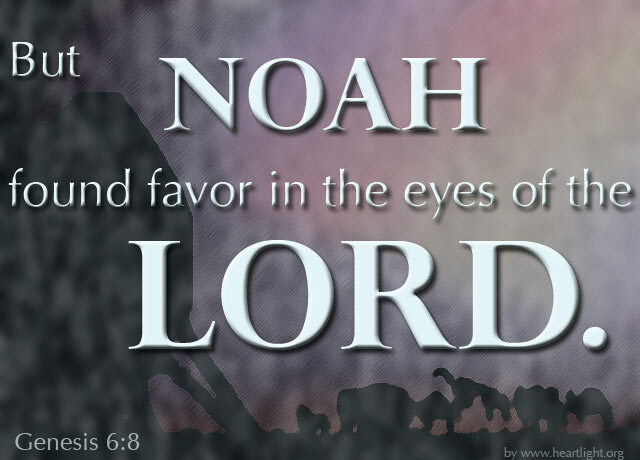 Can you imagine the difference it would ultimately make if each of us decided to be a Noah? Loving Shepherd and Holy God, please bless me as I seek to passionately live a life that pleases you and brings you joy. Please use me and my church family to make a difference in the world. In the name of the Lord Jesus I pray. Amen.